WebRTC transforming field services powered by TokBox. In today’s market, organizations need field service technicians that can share data and expertise instantly with one another - without increasing the bottom line. Seamless communication and collaboration is especially important for organizations with distributed mobile and BYOD-enabled workforces. With the OpenTok platform, it’s easy to integrate real-time video, voice and messaging directly into your organization’s internal field support application. When your technician needs additional assistance, they can bring a separate set of virtual expert eyes onto the job, all while sharing data, photos, documents and more. This collaborative “see-what-I-see” experience helps increase resolution times all without a second appointment or on-site support. Seamless integration with existing field support apps. 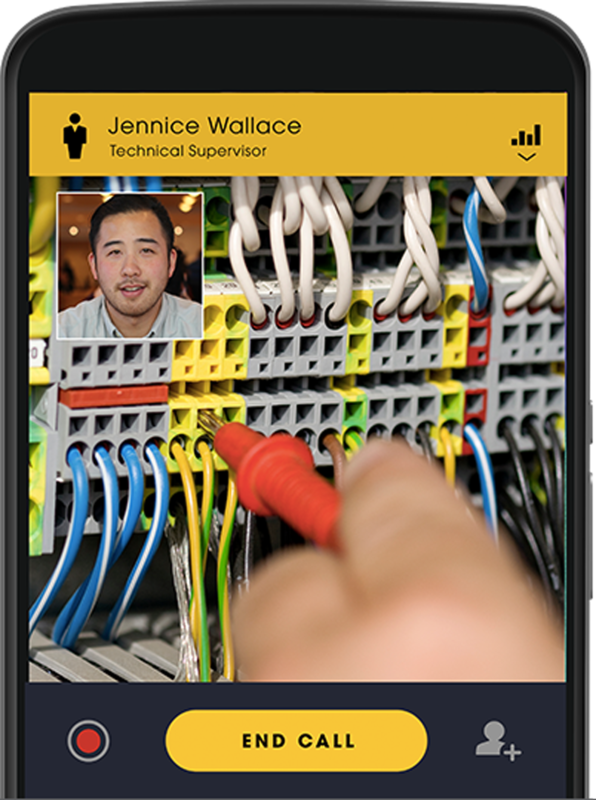 Leveraging front and rear-facing cameras on mobile devices, remote experts can experience the technician’s service challenge first hand. Combined with collaboration tools like drawing, annotations and more, technicians have the support they need to finish the job. All support calls can be archived. That means if a technician does run into an unusual problem during a particular job, that recorded experience can be used to improve training and processes for field technicians. There is significant value in having a photo or video record of the repair or installation before, during, and after a service appointment takes place. Now organizations can know with certainty that their installer or technician didn’t scratch the floor, or that the device was working properly when they left the jobsite.